ScHoolboy Q recently caught up with the good folks over at Power 98.3 and sat down for an exclusive interview. 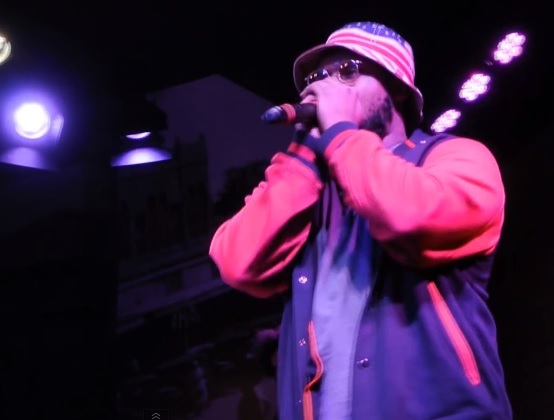 The TDE rapper also hit the stage for a private performance of his latest tracks which include his latest single, “Man Of The Year.” Check out Q in action as he hit the stage and treated the small crowd to the first ever performance of his new song. ScHoolboy also opened up about life before TDE and shared details with viewers about what life was like for him working a normal job. The Los Angeles native shared his thoughts on Oxymoron which is slated to release in early 2014, the creative inspiration behind “Collards Greens,” GQ’s cover story on Kendrick Lamar, his love for video games and much more. This entry was posted in Interview, Live Performance, Video and tagged 98.3, concert, hip hop, live performance, man of the year, power, radio, rap, Schoolboy Q, studio sessions, TDE. Bookmark the permalink.